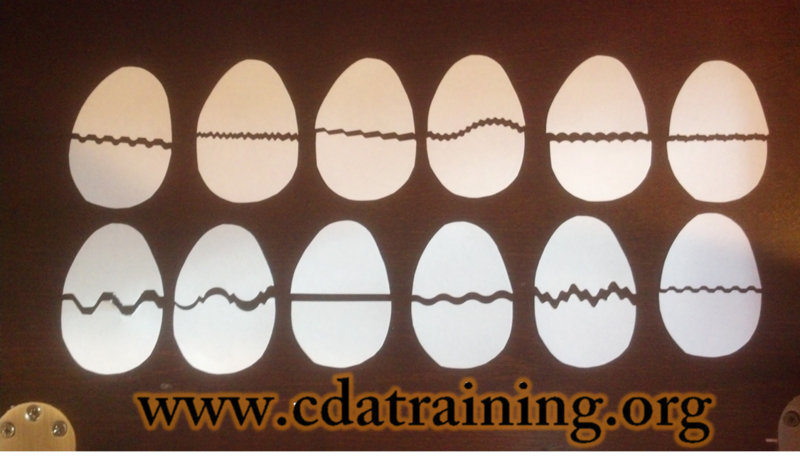 Cut out a dozen eggs, we used white paper but you can use any color you wish. Next pick out 12 pairs of craft scissors and cut each egg in half with a different pair of scissors. Finally you can scramble them together and match the tops to the bottoms.